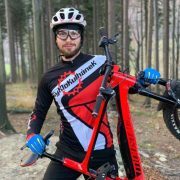 The POLEDNIK company was established in 1994 and since the beginning it was engaged in design, development and production of the CYCLING GLOVES. 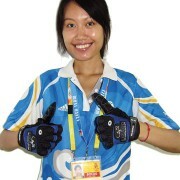 In the course of time the offer was extended for the FITNESS, MOTOSPORT, WINTER SPORTS GLOVES or some special models on request and lately for SPORTS WEAR and ACCESSORIES. Let me say that my offer is unrivalledly wide. But only width of an offer and number of models is not decisive. The most important for me is a ratio price-quality, which is above-average. This, perhaps, slightly daring predication is affirmed by longstanding partnerships to my customers. I´m not afraid of development and using new technologies and materials which improve functionality or visage of my products. However all these novelties are put into practice only when succeed in severe testing.Very revolutionary is using functional fabric COOLMAX EXTREME containing silver ions for the cycling gloves in the model SILVERIONIX. 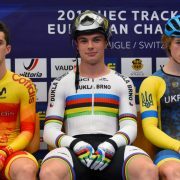 The POLEDNIK® gloves were used by CZECH NATIONAL TEAMs and foreign cyclists as well during top events like OLYMPIC GAMES , WORLD and EUROPEAN CHAMPIONSHIPS. 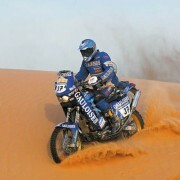 But besides cyclists the POLEDNIK® gloves are used by motosport riders like Mr. IVO KASTAN during RALLY DAKAR. This rider set a world speed record in model MONSTER in Boneville, U.S.A.. Copyright © 2018 Poledník, s.r.o.